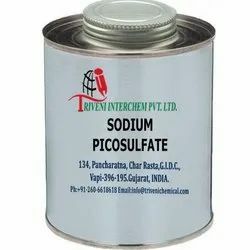 Prominent & Leading Manufacturer from Vapi, we offer sodium picosulfate. Sodium picosulfate Monohydrate (1307301-38-7) is Liquid. it is also known as sodium picosulphate, picosulphate sodium and picosulfate sodium. it is use in Laxative, purgatives and aperients Industry. Storage: Keep container tightly closed. Keep container in a cool, well-ventilated area. Looking for Laxative API ?